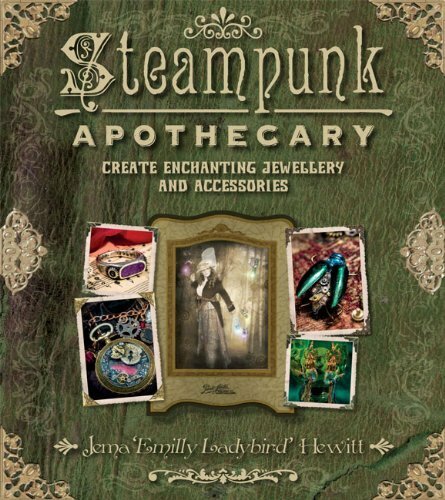 Steampunk Jewellery : Emilly Ladybird's Steampunk Jewelry: New Books Pre-Order Offer! I'm sure you may have noticed I have not one but TWO, yes TWO books being published this year, and I thought it might be rather nice to give you a chance to pre-order signed copies to be delivered after publication and get a nice free gift or two! 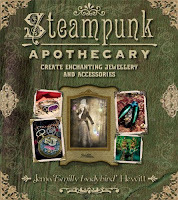 In MAY 2013 you can learn how to create some more spectacular steampunk jewellery pieces as well as some sewn accessories (yes there is my special secret couture mini top hat in there, and a fabulous cravat pattern...) while the amazing adventures of Emilly ladybird continue in Steampunk Apothecary as she falls through the rabbit hole and into a realm of Dark Fairytale steampunk adventures. 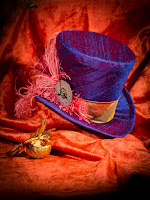 There's easy to follow step by step instructions for all projects and luscious photography throughout. 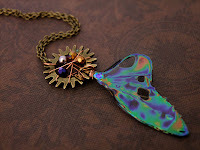 So, fancy a lovely free gift? With each of the first 20 pre-ordered signed copies of Steampunk Apothecary, you will recieve not only the dedication of your choice, but a little pack of fairy wing film, AND a kit containing all the beads, cog and wire you need to make this adorable fairy wing pendant! 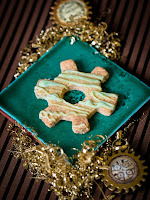 In AUGUST 2013 you'll need to put on an apron and get those rolling pins ready, as Steampunk Teaparty will be available! 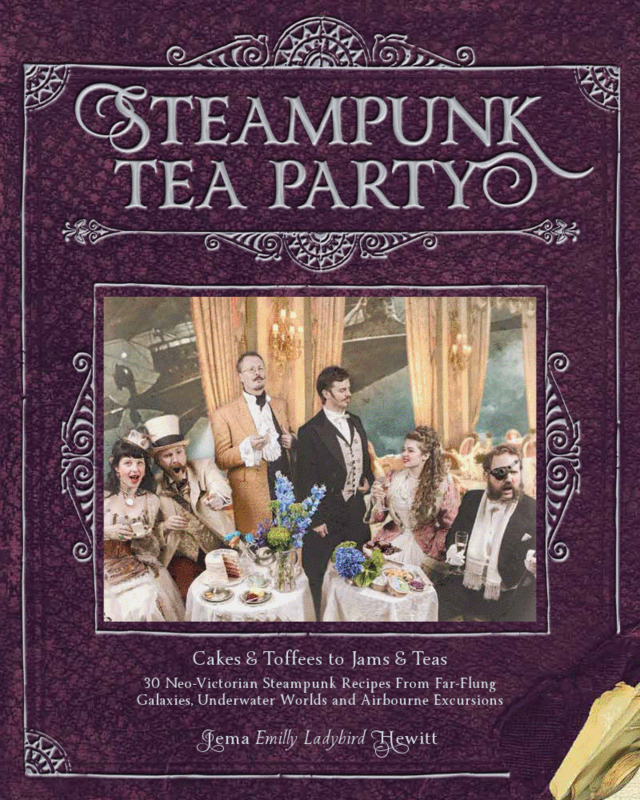 Full of scrumptious recipes for absinthe cog biscuits, gin and tonic cake, the Steamer B cocktail and more besides, this is a peep into Emilly's notebook as she attends a giddy whirl of teaparties across six steampunk themes. From the depths of the ocean supping with a group of engineers aboard a jovial submarine, to the far reaches of the galaxy with the First Lunar Regiment on Mars, loads of amazing characters, rambunctious tales of derring do and their favourite foods are brought to life. And now to the presents! 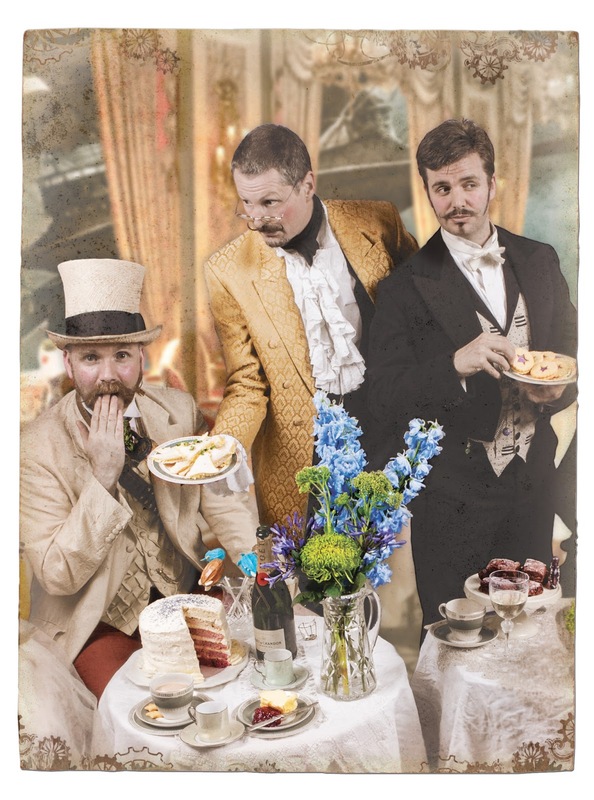 With each of the first 20 pre-ordered signed copies of Steampunk Teaparty, you will recieve both the authors flourish of an autograph dedicated to a name of your choice, and a set of six postcards each featuring a stunning group picture from the chapter themes to inspire you and six extra exclusive recipes on the backs! If you'd like to buy a book in person at one of the many UK events I attend, you are most welcome, I'd love to meet you. Any events I'll be attending are displayed in the events section of my Facebook page (Things like MCM, the book launch parties, The Asylum etc.) 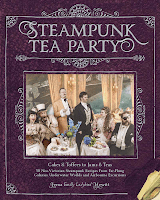 remember it'll be any event from 18th May for Apothecary and 1st September for Teaparty.